Stella stands at an average height of 154 cm (5 Feet), and weighs 40 kg (88.1 pounds). Her purple hair reaches down to her middle back in multiple strands. Two of these strands come over her shoulders and end just below her breasts, while her bangs end at her purple eyes and the hair to the side of her head ends around her earlobes. Around her neck, is a white metallic-like choker. She usually has on a white, button up sailor uniform with purple designs, with a yellow ribbon tied together at her chest. The uniform doubles as a skirt, and does a fine job of hiding her undergarments from view (save for when she fails to realize that they can be seen). On her right thigh, somewhat hidden by her sailor uniform, is a white strap that holds onto her S-Gear. She has stockings that reach to her mid thighs, striped pink and white. Her boots are medium in size, and the tops of their zippers are left open, though they never fall off. Stella's Transformation, like her brother's, takes the form of a Mask she can call upon at will to augment her current Magical and Physical abilities. The only other change to her appearance is her irises, as they change from purple to a bright blue. Stella is very shy and overly-apologetic. She acts more upon her instinct then what the Academy teaches her, and as such, she is very mature and her work ethic is one of the best in the Academy. She's Shy, so she's a bit timid when confronted by people and some things, but makes an effort. She holds her friends dearly and will never stop calling them her friend, even when they loath her. She's very respectful to others, even her enemies. However, despite her intelligence in school and in other life matters, she's still a bit of an air-head (Similar to her brother, whom she probably got the trait from). She's a bit naïve and sometimes has bouts of insanity (however, her 'bouts' are nowhere near as bad as her brother's own). Due to past complications with her family, she gets scared easily in bad situations. Up till a certain point in her life, she used to rely on her brother for everything: Food, Shelter, Money, Clothes, and the like. It wasn't until he went missing that she actually began to take care of herself. After her brother's death, she changed a bit. Her outward personality and appearance stayed the same, however, the mention of her brother sobers her up quickly, and speaking ill of him sets her off into a rage. On the day of his death, each year, and each day before and after, she locks herself in her room and speaks to nobody, not even her dorm mate. 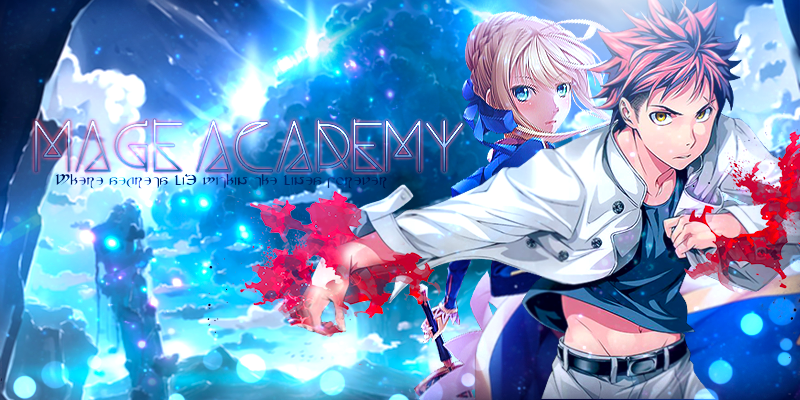 2 days after his death date, she returns to the academy in her normal personality. Stella's early life was one that was average. She was born into a Magical Family, therefor making her a 'Pureblood Mage': A Mage born to two magical parents with no mixed blood within her vains. Her parents were known in society as doctors, and her brother was known in the magical society as a prodigy. After her parents deaths in an 'accident', which was really murder by a jealous Mage, her brother was forced to grow up much faster then he was intended, and continued to care for her from the age of 12-15. Stella was only 5 and 10 at the time. She was eventually taken to Mage Academy by Narora, at 9 years of age, who enrolled her and got her started on learning to control her Magic. She was found to have the same unique ability that Narora had: a type of Transformation. She was able to collect the residual magic in the air and use it to augment her own magical powers and physical capabilities. Stella's parents didn't have this power, but both of their Magics came together in a rare formation for their children. One of those '1 in a million' occurrences. The power would only show up for her and her brother however, as mixing any other blood with their own would dilute the unique ability too much. If either were to have children, then the children would either have a 'nerfed', less powerful, version of the ability, or be unable to use it at all. The only way for the ability to continue would be for Stella and Narora to have a kid together, but that isn't ever going to happen. For a year she remained at the Academy, and after that year was up, her brother was pronounced 'Killed in Action'. From that day on, rumors spread of her brother, and Stella nearly had a mental breakdown from the death of her brother, the rumors of him, and the rumors about her. So she became 'shy', where in reality, it was now socially awkward for her to speak to anybody without them either talking about her brother, talking about her, or ignoring her outright. As of now, she's called a prodigy that will surpass Narora, but her reputation prevents her from gaining any real teachers to help her. So she trains on her own, improving in areas she knows best. Usually this is with her Unique ability, shared with her by her brother. Fighting Style: Stella attempted to copy her brother's fighting style as much as possible, but her more feminine frame wasn't built for it, so she had to 'nerf' it a bit. Powering down the 'Tank' attributes and replacing them with a more defensive, but overall offensive fighting style. She is a Close to Mid-range combatant, and usually never goes to Long-range. She moves in, attacks, and retreats. Her intellectual stat is somewhat low, but decent enough to work out how attacks can function (if she sees them enough). She's less worried about using the terrain around her to help her battle, and would rather deal damage herself then let some falling debris do it. Stella's offensive fighting style is a 'Hit Fast and Hard, then Pull Out'. She doesn’t have the endurance to withstand any powerful hits (unless she uses her unique ability). She will focus on moving in quickly, dealing any kind of damage she can (preferably hard hits), then duck out of range of battle, well out of range. This style puts her great speed into use. When using her unique ability, she can move faster and hit harder now, thus her offensive style benefits from the Transformation. She's also less concerned for her well-being, and will often suffer a hit, to deal an even better hit in retaliation to the opponent. When her unique ability finally falls apart however, she feels the full force of any injuries she sustained during it's use. Stella's defensive style is nearly non-existent, but she 'makes-do'. Stella puts her great speed and agility to use here, by dodging, blocking, and redirecting as many attacks as she possibly can. When using her unique ability, she is able to take more powerful hits and shrug them off, as well as dodge and redirect attacks much easier, however, there is a limit and sometimes, the upgrade wont change anything, if the opponent is much too strong to face. Stella's use of Magic is usually very focused. Her defensive spells are non-existent, or have only one or two spells she can use. She has a few Offensive spells, but usually sticks to melee combat. If she does use any kind of offensive magic, it's to support her attacking power or deal a good deal of damage when in close. Besides what was mentioned above, Stella will often use her special ability sparingly, due to the strain on her body and it's time limit (dictated by her body). Often times in a battle, she will activate it to deal a powerful blow, then deactivate it to let her body rest and recuperate. Defensively, she will use it only when powerful attacks come her way. She will activate it to block, dodge, or redirect the attack, but afterwords she will deactivate it for the same reasons: to rest and recover. She wishes to eventually master the ability to the point of her brother, who could use it for an extended amount of time, and feel the effects only much later. At this current time (time of app approval), Stella's limit with the ability is 5x lower than Narora's, who had the ability much longer then she did. Stella has no idea of what happened in the past, nor of the fact that her brother isn't dead or evil, but is actually sealed away for 5 years. Mask – Stella's mask that she dons when using her unique ability. It isn't seen on her person any other time then when she uses the ability (as it is called forth when she uses it), however, when using the ability, it does form and becomes an Item of Significance.